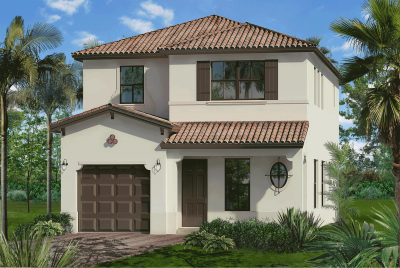 Bonterra will be develop in Hialeah by CC Homes, beautifully designed with Mediterranean-inspired architecture and an inviting array of designer features and custom options available for buyers. 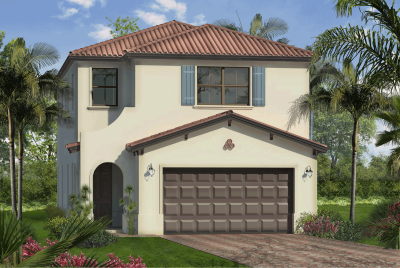 Bonterra Hialeah will be located practically on the border of Miami-Dade county, and Broward county. The Bonterra community will consist of 393 2-story homes. It will be very centrally located giving you instant access to Miami, Pembroke Pines, Miramar, Kendall. Easy access to all major expressways I-75, FL Turnpike, and Palmetto Expressway are just minutes away. World class shopping will also be close by with the Dolphin Mall, Sawgrass Mall, and Aventura Mall; however, this location will be practically down the road from the next South Florida shopping and entertainment attraction the American Dream Miami aka Miami Mega Mall. Premium standard features include stainless steel appliances, granite countertops and European-style wood cabinetry, and that’s just to name a few. 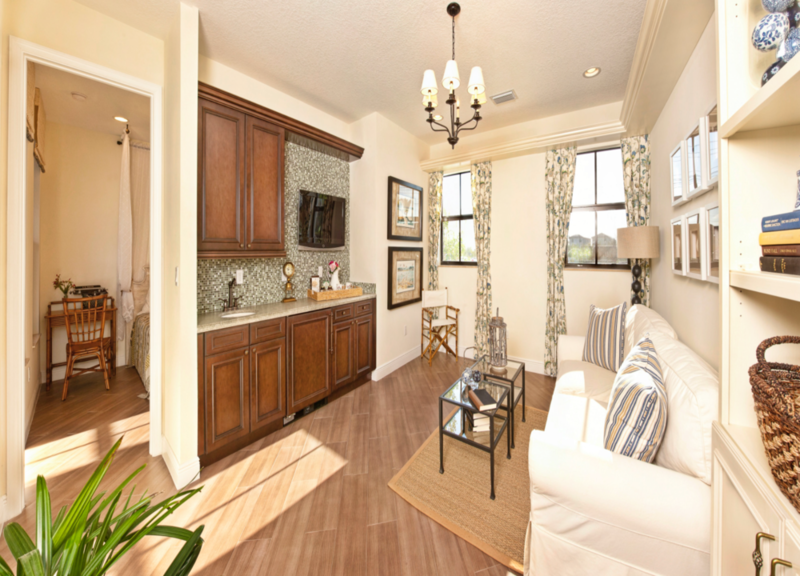 Air-conditioned baths, laundry rooms and walk-in closets. Energy-efficient R-11 garage wall insulation. Energy-effcient R-30 ceiling insulation (per plan). Energy-efficient hot water heater 2015 compliant. Fluorescent light fixtures in walk-in closets & laundry room. Smoke and carbon monoxide detectors (per plan). Structured wiring system includes wiring that homeruns to a central distribution panel. Upper wood cabinets in laundry room. Pre-installed alarm system and smart home package available. Elegant 10'-1" ceilings on the first floor and 9'-4" ceilings on the second floor (per plan). Textured finish walls & ceilings throughout (excluding baths). 8' tall single light French doors (per plan). 8' raised panel interior doors. 8' raised panel closet doors with louvered doors if required for ventilation (per plan). Decorative 2 1/4" wood door casings. Oversize 5 1/4" wood baseboards. 18"x 18" ceramic Dal tile flooring in foyer, family room, kitchen, breakfast nook and laundry room (per plan). Deluxe wall-to-wall carpeting with padding in all non-tiled areas. Minimum 200 AMP electrical service. 25 cu.ft. side-by-side refrigerator with ice and water dispenser in the door. Ceramic surface range with self-cleaning oven. Built-in microwave oven and hood combo with fan and light. Wood cabinetry with 42" upper cabinets. Stainless steel double bowl undermount sink. Single lever Kohler faucet with pull out spray feature. Wood cabinetry with coordinating framed mirrors in master bath. Luxurious Roman-style tub and separate shower with Kohler faucets and clear glass enclosure in master bath (per plan). Wood cabinetry in secondary baths. 12" x 12" ceramic Dal tile flooring. Coordinating tub/shower wall tile package in master and secondary baths. Decorator faucets and coordinated bath accessories. 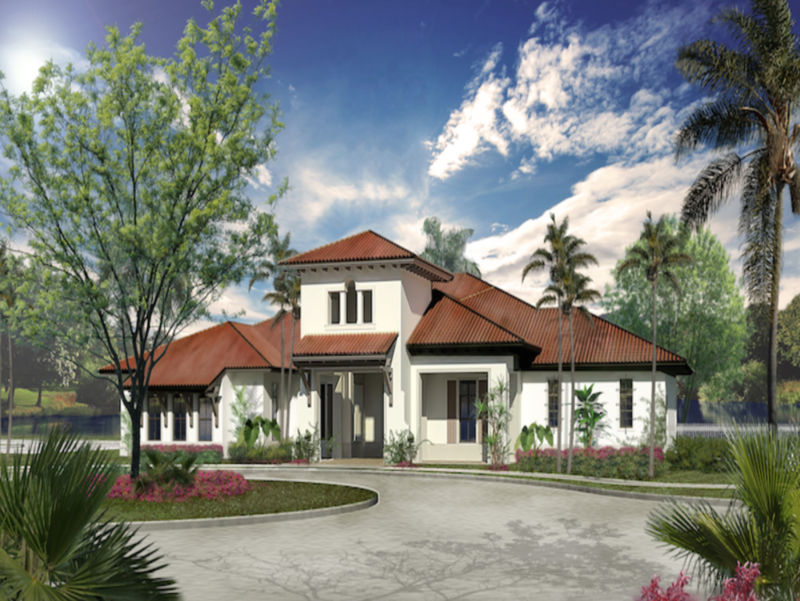 Bonterra will feature open floor concept floor plans to accommodate growing families with three to five bedroom homes. Garages, convenient laundry rooms, outdoor terraces and many upgraded features are included in the prices of homes. Each of the Bonterra Model will offer two different facades variations, let's take a look. Starting at $365,900 with a 2609 total square feet, and 2042 square feet under AC. Upstairs master suite with his and hers walk-in closets and balcony. Starting at $384,990 with a 2765 total square feet, and 2353 square feet under AC. Two master suites with walk-in closets (one master on the ground floor). Starting at $386,990 with a 2953 total square feet, and 2290 square feet under AC. Master suite with walk-in closet and balcony. Kitchen with great room and family room. Starting at $387,990 with a 2908 total square feet, and 2412 square feet under AC. Master suite with his & her walk-in closets and balcony. Starting at $399,990 with a 2902 total square feet, and 2377 square feet under AC. Guest Room on the ground floor. Located in desirable Hialeah, Miami-Dade County in Florida. Grand entry and elegant common area elements. Pristine lakes and natural preserves. Walking trails and bike paths. Conveniently located near shopping, dining, and recreational activities. Easy access to major expressways. Mediterranean style concrete title roof. Second floor concrete block construction. Climate-friendly covered entry with dramatic 8' doors. Distinctive exterior door hardware and deadbolt lock. Lighting at front entry porch. Decorative coach lights at garage. Front and rear weatherproof (GFI) electric outlets. Professionally landscaped and sodded home site. Front and rear hose bibs. Screens on all operable windows. Covered rear terrace pre-wired for ceiling fan. Brick paver driveway, walkway to home, covered entry and covered rear terrace. 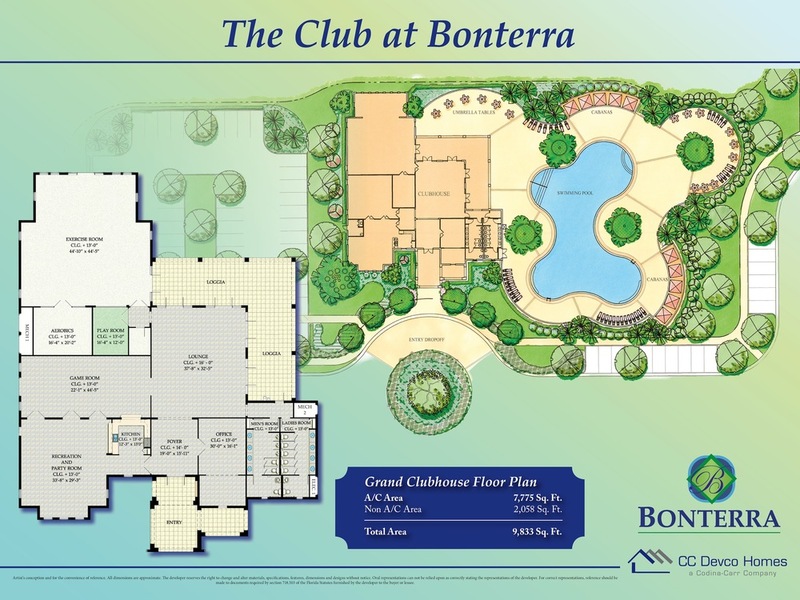 Below is the site plan for Bonterra by CC Homes. For showings, more information, or simply have questions about Bonterra do not hesitate to contact me.